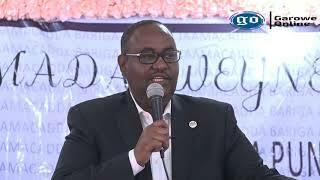 GAROWE, Somalia-Puntland Information Minister Mohamud Hassan Socade has threatened to “use bullets” against independent media in Puntland, a day after he issued a statement warning local journalist against reporting “terrorist elements” in Puntland, Garowe Online reports. 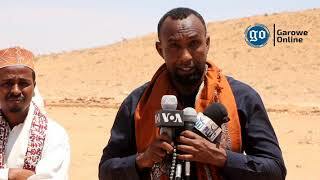 Jamal Farah Aden, Galkayo director of Radio Daljir, interviewed Minister Socade and the audio recording was published online. Puntland journalists and media groups, including National Union of Somali Journalists (NUSOJ), have condemned the Minister’s threats. Journalist Aden asked Minister Socade why the Puntland Information Ministry’s statement of June 22 "did not cite the Puntland constitution”, which guarantees freedom of the press. 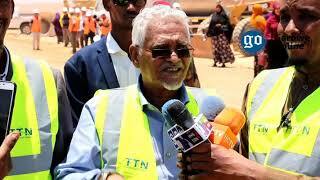 The Minister’s controversial interview comes on a day when fighting erupted near Armo town, in Puntland’s Bari region, between government security forces and militia led by former Bari governor Abdisamad Gallan. 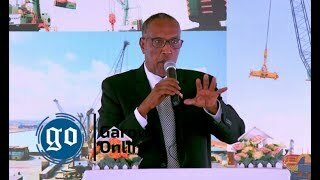 Yesterday, Puntland’s president Dr Abdiweli Gaas flew to Baidoa, in southern Somalia, to attend a meeting alongside Somali leaders from the federal and state governments to discuss the 2016 election process. 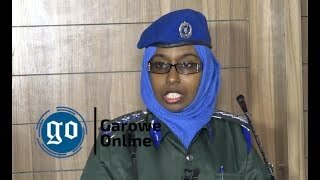 Major Nur Ali, a police officer, said Sagal Salad worked for Radio Mogadishu. "Three men armed with pistols killed (her)... We heard gunfire and we rushed to the scene, the gunmen had already escaped," Ali told Reuters.